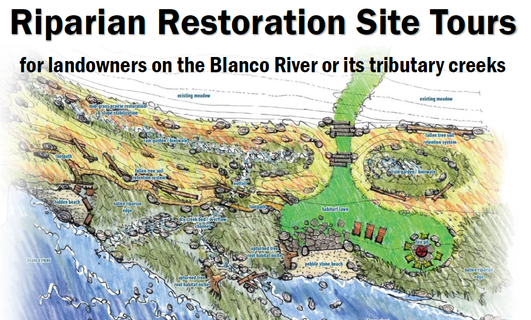 We are excited to announce that we will be hosting three tours of a riparian restoration demonstration site in Wimberley designed and implemented by the Lady Bird Johnson Wildflower Center and TPWD. The site serves as an example of how the use and enjoyment of a streamside landscape can coexist with a diverse and functioning riparian ecosystem. Tours are intended for streamside landowners and limited to 20 participants for each tour.